Let’s try something different this Thanksgiving. Think the last couple of years have been rough for diversity in America? How about the last couple of centuries? If you are descended from the indigenous inhabitants of this amazing country, your history of marginalization and resistance extends farther back than the latest insanity brought into sharp focus by the Trump presidency. Much farther. Knowing this makes Thanksgiving a problematic holiday for me. It’s hardly that I’m opposed to giving thanks – quite the contrary. I believe gratitude to be one of the most powerful attributes of the mind. But the “traditional” Thanksgiving story promulgated by the dominant culture (as we mostly white “mainstream” Americans are thought of by the original tenants) completely whitewashes the tragic reality of the original people’s experience meeting and trying to coexist with Europeans. Our core mission at While Rome Burns is to support and defend diversity – cultural, racial, ethnic and sexual. We believe that the human experience is enriched and enhanced by diversity. That in order to achieve our true human potential we must embrace diversity. We understand this is not always easy, and not always comfortable. But we unequivocally believe it is worthwhile. We believe it is essential. We humbly invite you to join us at this month’s While Rome Burns benefit for Red Lodge Transition Services to celebrate Thanksgiving a little differently this year: in open-hearted humility, with a clear-eyed vision of the work we all must do to make our world the inclusive, nurturing, loving place we believe it can be. Red Lodge Transition Services is a Native American led organization that provides culturally focused programs for women releasing from jail, prison or treatment. Red Lodge serves approximately 1,200 people per year in 11 Oregon State prisons and one jail with cultural programming and Native American Religious Services. Our programs aid in prevention, responsibility, respect and empowerment of individuals, families and communities. Approximately 80% of our re-entry clients are women and 20% are men. Red Lodge’s work in the prisons often helps Native Americans reconnect to Native spirituality and culture. We are a community-driven organization with almost 100 volunteers throughout the state of Oregon. Our volunteers are the heartbeat of Red Lodge. To prevent incarceration and reduce recidivism primarily among Native American women and men. To provide assistance for individuals released from jails and prisons, who are working on creating a better life for themselves, their children, and communities. To supply transition information, guidance and support, to Native American individuals, families and communities. To prevent and reduce incarceration by breaking the cycle of chemical addiction, violence, abuse, hatred, hopelessness and neglect. To create positive change by educating the public, communities, social service providers, and Department of Corrections on the importance of providing culturally competent programming to Native Americans. To develop and implement culturally competent pre and post incarceration programs which will aid in prevention, increase responsibility, respect and empowerment of individuals, families and communities. We believe in promoting healthy choices, modeling healthy lifestyles, and encouraging positive attitudes. We believe in maintaining a non judgmental approach toward people’s circumstances, history and/or conviction. We hold ourselves and others accountable. We believe people can and do change, and that all people are capable of greatness, given the proper tools and opportunities. We believe all life is sacred.We believe and practice that all life is sacred. We encourage and support humanitarian treatment of incarcerated Native American individuals during incarceration and their reentry into the community. Tony Eagleheart Garcia has been singing and playing music for most of his life. Beginning in the 50’s, he spent the 60’s and 70’s in the San Francisco Bay Area where he performed in coffee houses, clubs and concerts, and ultimately as part of the free rock festivals in the Golden Gate Park where he had the honor of performing with bands like the Grateful Dead, Santana, Jefferson Starship and the Youngblood’s. Tony also has deep roots in indigenous life. His given name is Cante Wambli, which means “Eagle Heart” in Lakota, and he was raised by his native nation, the Tarasco people of Mexico. 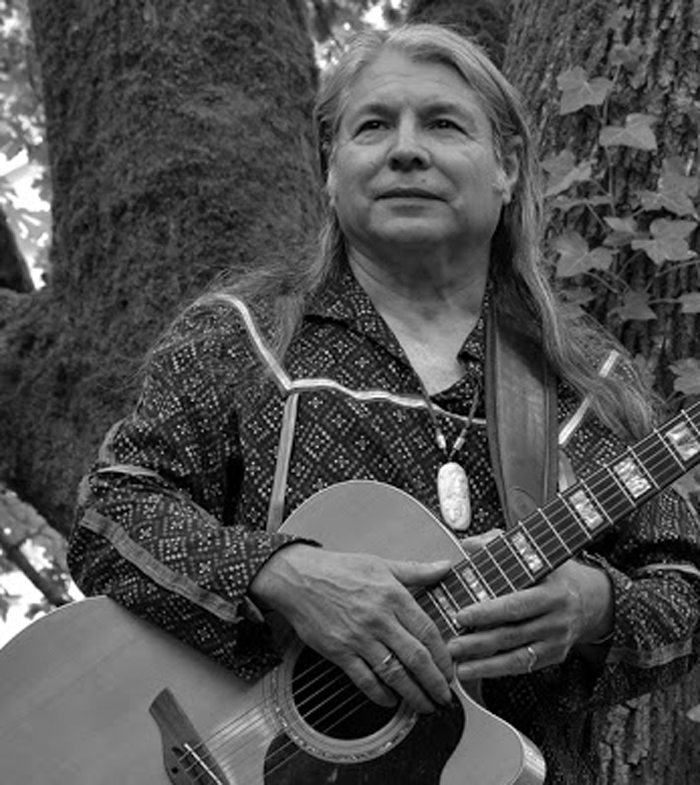 His Contemporary Native American Music draws from all genres of music celebrating life, family and his spiritual connection to indigenous ways of being with respect to nature. These are his primary sources of inspiration. 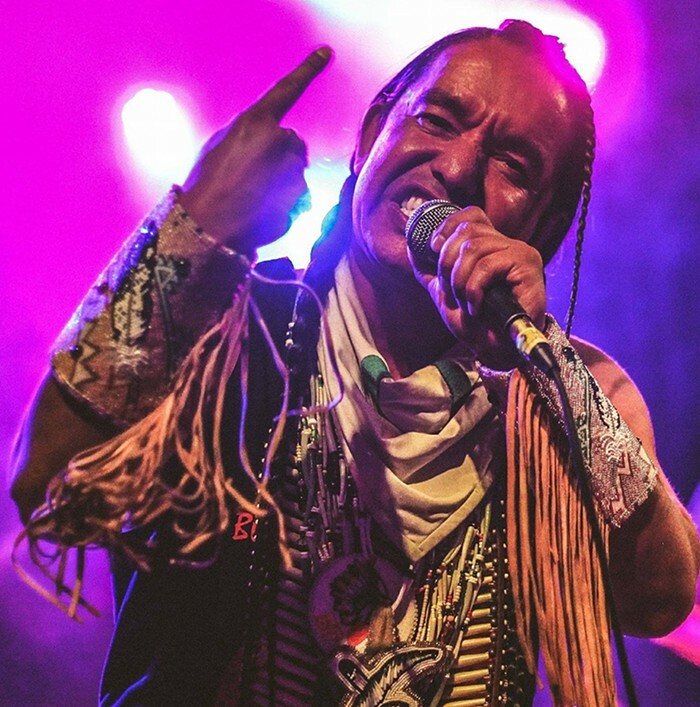 He is always striving to grow, learn and share the findings of his truth through conversation, music and storytelling; as storytelling is part of native culture that weaves the fabric of his – and all of our – existence. Tony’s philosophy is simple: Life is sacred, a blessing and Creators sacred gift. He writes about nature, justice, love, respect, unity and faith. Tony seeks an abundant blanket of gifts to share with family, friends and all people – in gratitude, rather than fame or excessive financial fortune. His deepest desire is to share this experience of love and understanding as he walks on this Sacred path. Previous Post Don’t get mad. Get pizza.